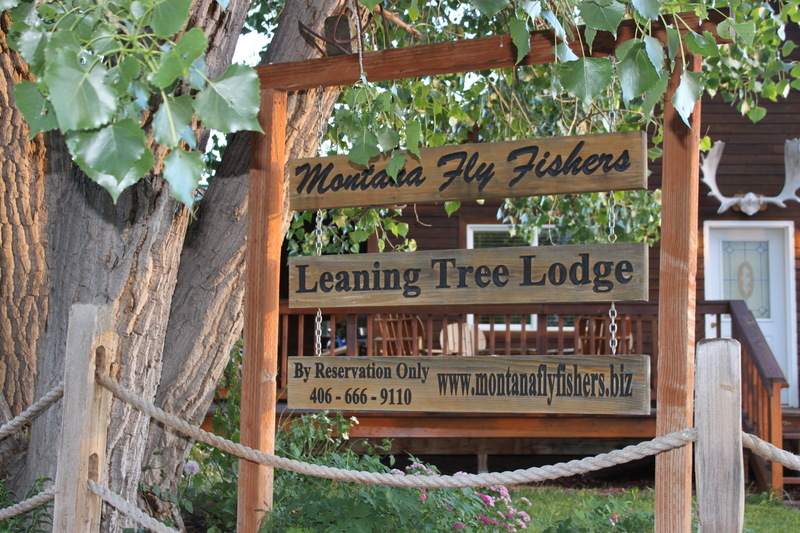 We have not posted anything thing to the website for quite some time because we have spent almost two months this summer traveling and fly fishing our way through Montana, Wyoming and Colorado. 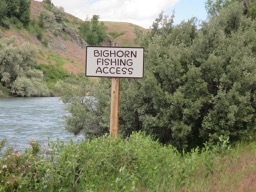 Since our home town is Fort Smith, Arkansas, thought it appropriate to start this years western fly fishing tour on the Bighorn River in Fort Smith, Montana. 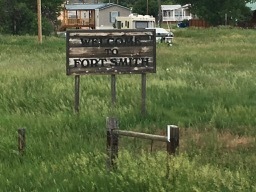 This Fort Smith is actually on The Crow Indian Reservation and sports an official population of seventy residents. The small town consists of three fly shops, a convenience store, gas station, post office, church and one taco stand. 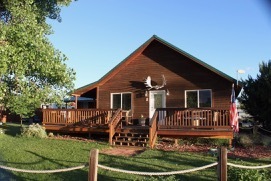 Regardless, there are several lodges, bed & breakfast inns and numerous houses for rent all very near the Bighorn River. 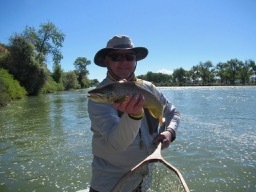 The Bighorn River is a tailwater fishery that is noted for it’s wonderful dry fly fishing; but due to large winter snow pack in the mountains the reservoir above the river was being evacuated so the river was running quite high and a bit off color. We pulled out the streamer rods and made a twenty-two mile float and caught several nice Brown Trout all in the low twenty inch category. 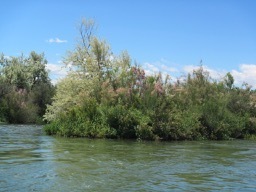 It is a beautiful river and because we only had one day to fish it we will definitely be back to check out the dry fly fishing on lower water levels. Next stop, the Smith River and a six day, seventy mile float trip!